For over a year Kindra and I have been working together as artists with NW Noggin a neuroscience outreach group. 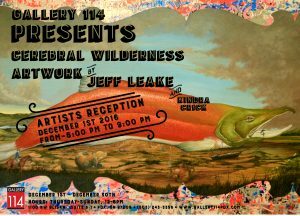 In this show Cerebral Wilderness, we examine memory, place and its impact on one’s inner and outer identity. While I look outward towards the horizon depicting remembered and invented landscapes, Kindra’s work turns inward magnifying and reimagining the hidden molecular structures of the mind. 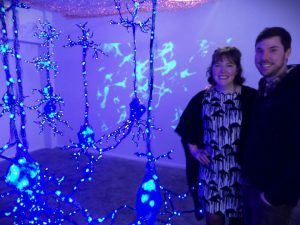 Neuroscience-inspired art installation by artist Kindra Crick from Kindra Crick on Vimeo. Kindra Crick is an artist who gives visual expression to the wonder and process of scientific inquiry and discovery. In her installations and layered mixed-media work, she incorporates drawings, diagrams, maps and imagery from under the microscope. Her work has been influenced by the inspired marriage of her grandparents, the scientist Francis Crick and the artist Odile Crick. Her work is included in the LMB collection in Cambridge, England with exhibitions at the New York Hall of Science and MDI Biological Laboratory. Her work has been featured in Science Magazine, The Huffington Post, SciArt in America and Oregon Arts Watch. As part of NW Noggin, Kindra created a neuroscience-inspired installation for the Phillips Collection in D.C. and accompanying a lecture at the Portland Art Museum. She lives and works in Portland, Oregon. 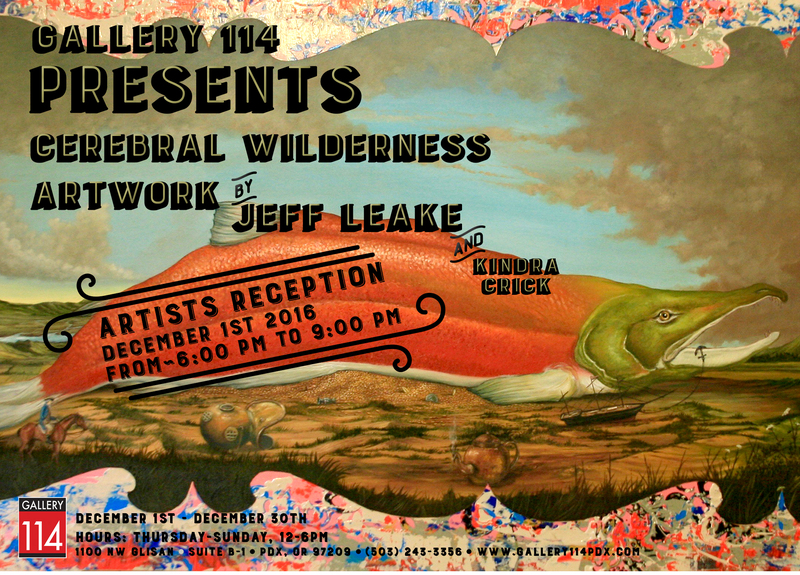 A California bay area native Jeff Leake holds a BFA from the San Francisco Art Institute and an MFA from UC Davis. In the tradition of fabulists such as Aesop and Jean de La Fontaine his current work uses animal imagery and landscape to explore human relationships. 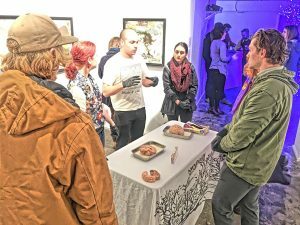 Fascinated with the origin and nature of these inner landscapes he currently works with neuroscience faculty at Washington State University Vancouver and Portland State University to teach art and neuroscience there and around the Portland area. Along the way he has shown nationally and internationally. He now lives and works in sunny Portland Oregon with his wife kids and three dogs. 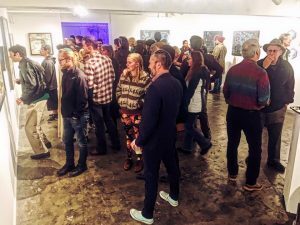 We had a great opening on first thursday, Thanks to everyone for coming out! The following week Kindra and I gave a talk about our own work and how it relates to neuroscience. Kindra discussed the work she did with Dr. John Harkness around perineuronal nets (proteins that surround neurons restricting their plasticity) which was the basis for her installation at the show. I talked about the effect of memory on our sense of place and the impulse we all have for creating narratives. 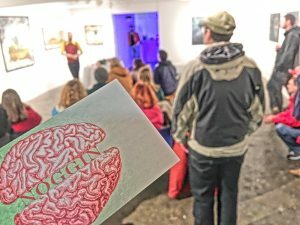 At the event we not only had real human brains for people to look at and hold, we also had neuroscientists there to talk about what we were looking at. 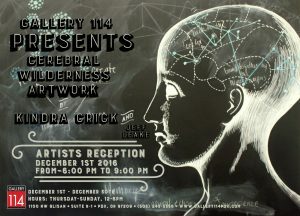 If you happen to be in town come down to Gallery 114 and take a look.